Collett Mechanical Service, Inc. has expertly trained technicians on staff that are equipped with the knowledge and tools to provide our clients with the highest level of service and maintenance. We believe in continuous training to ensure us keeping up with the ever changing technology. Our customers depend on our expertise to keep their essential systems operating. Collett Mechanical Services provides same day service and support 24 hours a day, 7 days a week, 365 days a year…guaranteed. 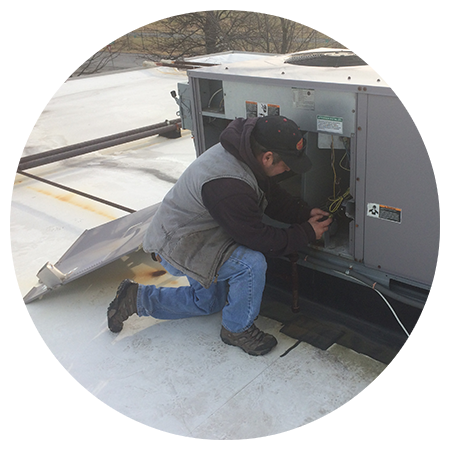 An annual maintenance contract will help prolong the life of your HVAC equipment and reduce down-time. Please contact Joe Collier at 518-862-2214 or joe@collettmechanical.com today for a personalized quote.